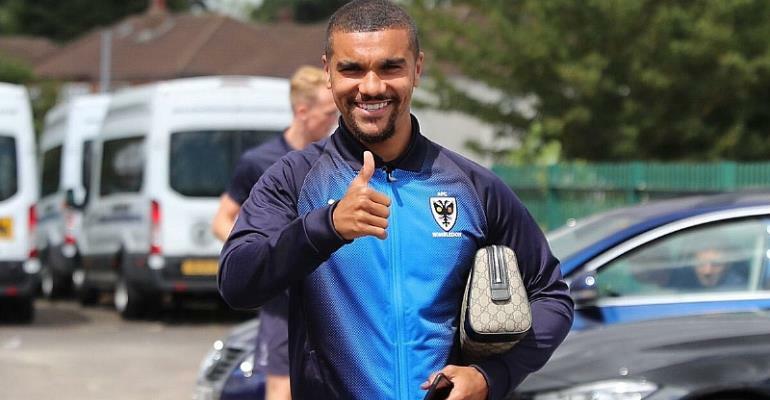 Columbus Crew defender, Jonathan Mensah has lauded AFC Wimbledon striker Kwesi Appiah on his latest call-up to the Black Stars. The former Crystal Palace forward has been named in Kwesi Appiah's 24 man squad for the final Africa Cup of Nations qualifiers against Kenya. However, Mensah, who was excluded from the final qualifier has patted his colleague for making the squad. Kwesi Appiah last played for the Black Stars at the 2015 Africa Cup of Nations in Equatorial Guinea. He was last invited to the National team in 2016 where he picked up an injury at training ahead of Ghana’s Cup of Nations qualifier against Mozambique.